News Corp, Time Warner and TPG Capital have placed bids of up to around $1 billion for the ATV-Sabah media unit of Turkey's Calik Holding, three sources close to the matter told Reuters on Monday. Calik Holding, which also has interests in energy and finance, paid $1.1 billion in 2007 for ATV-Sabah, one of Turkey's largest media groups, and two of the sources said the company did not want to make a loss on the deal. Chairman Ahmet Calik was regarded as close to the ruling AK party's leadership, and that deal gave the socially conservative, economically liberal government an influential friend in the media. Prime Minister Tayyip Erdogan's son-in-law Berat Albayrak is the chief executive of Calik Holding, and his brother Serhat Albayrak is the general manager of the media unit. "TPG, (News Corp's Rupert) Murdoch and Time Warner placed bids. I know TPG is very aggressive," said a source close to the process, adding the submitted bids were around $1 billion. He said the sale process could be completed in February. Calik hired Goldman Sachs this month to steer the sale of ATV and Sabah, according to sources close to the matter. They said the deadline for bidding had been pushed back to the end of January, having been earlier set for January 18. "Bids were placed last week. Today or tomorrow we expect feedback," another source close to the deal told Reuters. "It is a short list." Earlier this month, sources had listed private quity funds including TPG Capital and KKR & Co, along with Time Warner and RTL Group -- Europe's biggest commercial broadcaster -- among the potential bidders. "KKR withdrew from the process, Time Warner placed a bid but we know its interest is on the decline. TPG and News Corp are more interested," said another source close to the matter. "EBITDA was adjusted and the valuation was down," another source close to the matter said. "Murdoch was said to have placed a bid of $1 billion, but this figure is less than Calik's expectations. Calik may prefer to cool the process," he said. Earlier this month credit rating agency Fitch placed Calik on a watch list due to refinancing concerns earlier this month. 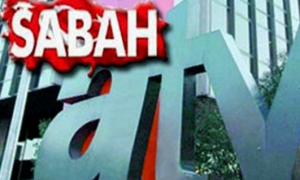 Fitch said the Sabah and ATV media assets were thinly capitalized, considering the competitive market they were in and the current and projected working capital needs. Calik took on $750 million of bank debt in April 2008 to finance the acquisition of ATV-Sabah from the Savings, Deposits and Insurance Fund (TMSF). While analysts say Calik has found the media business unprofitable and wants to sell it to cut its debts, international investors have been lured by the attractions of Turkey's young, large population and rapid economic growth.